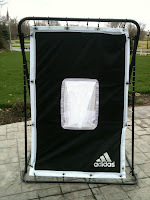 I bought this rebounder primarily for my 9 year old daughter. My 18 year old son decided that he wanted to goof around with it and rebound basketballs off of it prior to dunking on a basket set to 7 feet high. He ended up rolling over on the rebounder and bending the metal frame. I bought this unit because of its relatively light weight. I needed a unit that my 9 year old daughter could move around. This product is great for that. I would recommend a much sturdier unit for kids that tend to break things. In my opinion this product stinks. 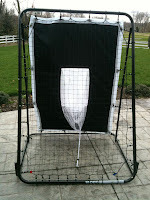 After several uses the netting is stretched there the ball does not rebound properly. The plastic wing nuts broke due to having tighten them up before every use. Sure wish I had kept the box so I can return it. After about 3 months I noticed it did not rebound the ball as well, and now after about 9 months of use I threw it away because it was useless. The bungee cords did not stand up very well and starting wearing out and snapping off after just a few months. 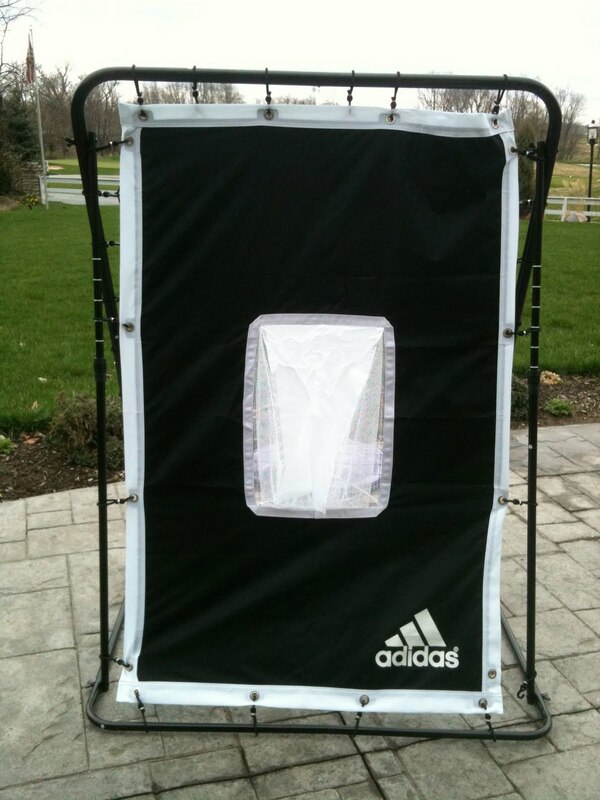 Also, the opposite side with the pocket ripped away when my daughter pitched a ball into it. I paid [$] for this and would expect more than this.